Buffalo Leather Styles Left to Right: Ute, Santa Fe, and Navajo. 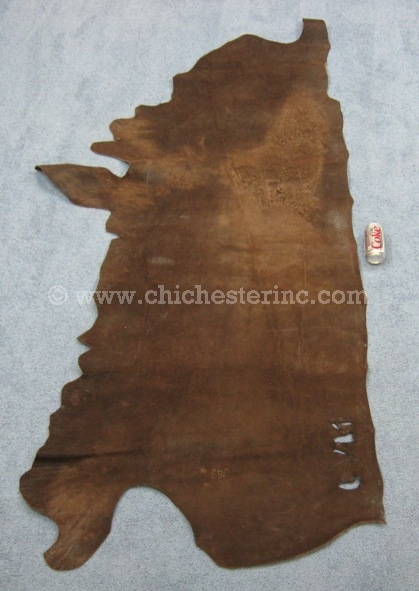 This is full grain North American bison (buffalo) leather. The difference between the three styles is in the texture and finish. See pictures below. These are sold by the half hides which range in size from 11 to 23 sq. ft. The Ute buffalo leather is chrome-tanned 4 oz. leather. The Santa Fe buffalo leather is heavier at 6-7 oz. and is veg-tanned. 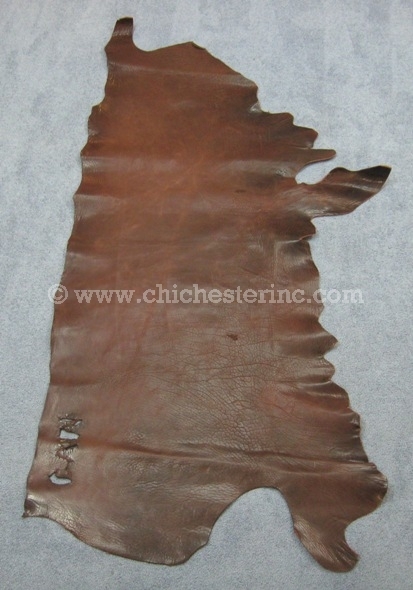 The Santa Fe buffalo leather can be used to make belts. The Navajo buffalo leather is 4 oz. and is chrome-tanned. The measurements provided below are to give you an idea of the sizes of each half hide. Please note that sizes will vary depending on what we have in stock.